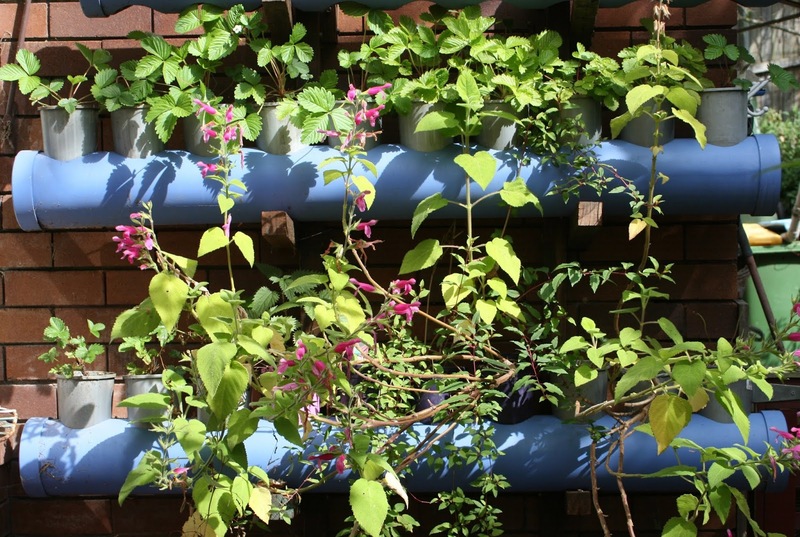 How to Water Your Plants, Grow Lemon Balm and Sprouts. 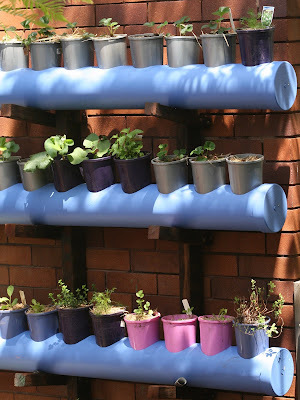 Is it possible to have a simple self-watering system? Here’s a guide in the Good Earth segment with permaculture guru Margaret Mossakowska. Growing sprouts and shoots in vegetable heroes, and Herbalist Simone Jeffries talks about Lemon Balm in Plant of the Week. Plus,what to do with if your outdoor dining setting is in too much sun in Design Elements? Today we’re going upward to grow our produce or herbs but we’re doing it with a simple self-watering system. If you have large trees in your garden or your neighbour has trees that overshadow yours, this is a great way to utilise the sunny parts of your garden without taking up too much space. Let’s find out how to build it. Things you need are polypipes/pvc pipes that are 10 - 15cm in diameter. Hole cutter to cut holes in the top of the pipes so that the pots are suspended. You don't want the pots sitting in water because this leads to anaerobic fermentation in the soil. Make up some wicks out of textiles such as old t-shirts, poly fleece, or geo-tex off-cuts. As long as it's synthetic fabric otherwise it will rot. You need 2-3 wicks per pot measuring a total of 35cm length. Push the wicks through the pot so that they are about half way into the potting mix. It’s achievable and once set up, you’ve got an ongoing self watering system to last you for years. This system could even be erected on a balcony and is a much better system that the vertical plastic grow bags. In Summer this watering system doesn’t have to be topped up for around two weeks. 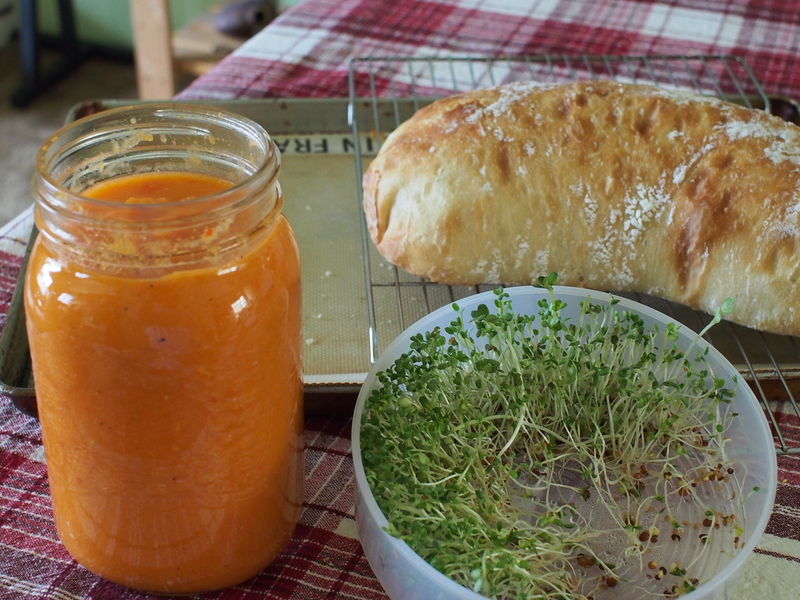 What’s something you can grow on your kitchen bench and it’s even something that schoolkids can do? 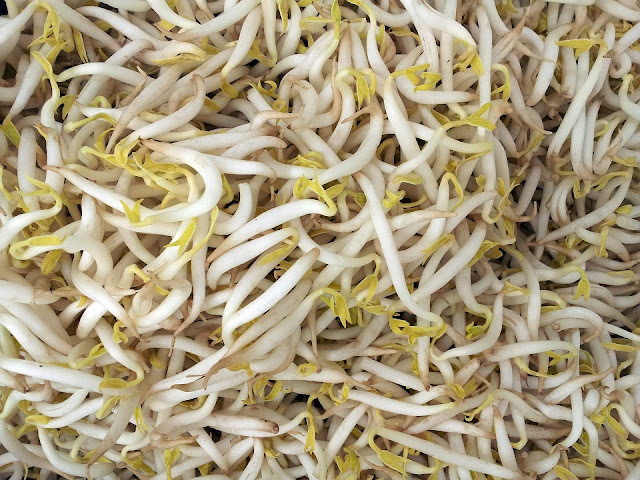 Did you know those white sprouts that you see in Asian dishes or in packets in supermarkets are mung bean sprouts that you can do yourself? Are you disappointed when you buy commercially prepared sprouts in that sealed plastic bag only to find that after a couple of days they’ve gone slimy and brown? Or you go to the supermarket to buy sprouts only to find that they’re out of them? If that’s you, then you need to grow your own sprouts. All you need are the seeds to start with, a jar with a wide mouth and muslin or cheesecloth or some other lightweight mesh to cover the top of the jar, a rubber band and water. Oh and a dark place to put your sprout jar until they’ve sprouted then you need to move them to a lighter location, otherwise they won’t grow and will probably go mouldy. Here’s a tip: don’t use seeds that are meant to be sown in the garden because these may be treated with a fungicide. In fact it’s best to use organic seed that are sold as sprouting seeds. Also seeds that are split, like split lentils and split peas aren’t any good for sprouting. You need whole seeds most likely from the health food section of your supermarket or a health food store or from a seed supplier. Start off with mung beans, green peas or lentils. Did you know there’s about 50 different types of seeds that you can sprout? From Alfalfa, Dill, and Fenugreek, through to sunflower seeds. Another tip: sprouts will need their water changed a couple of times a day. If you’re going away for a couple of days and won’t be able to rinse your sprouts then don’t start them. Sprouts can be grown all year even in winter, but you’ll need a warm kitchen at that time. Place one type of seed in the jar. Use about a tablespoon of seeds or one-third cup of beans. Why so little? Because you’re going to be soaking the beans or seeds and they’ll grow in size when they sprout. Cover the seeds with distilled or filtered water. For a couple of tablespoons of seeds, cover with at least one cup of water. For beans, nuts, or grains, use at least three times the water of the amount of seed. That will meant one cup of water for one third cup of mung beans for example. The seeds need to soak for about 6 to 12 hours in general but some need more and some need less. It’s a good idea to start them before going to bed if you’re working, otherwise during the daytime is fine. Cover the jar with the cheesecloth and make the cloth tight using a rubber band. 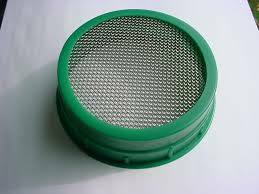 Or you can make a lid using mesh like in the picture. Rinse the beans or seeds with fresh water and drain off the water again. Set upside down in a clean, cool spot in your kitchen area, preferably on a slight angle to allow excess water to drain off. Otherwise you could put the jar on a stainless steel dish drying rack which gives the sprout jars the perfect angle for draining. Rinse the sprouts two to three times a day. Be sure to drain them well each time so they’re not sitting in any water. When the jar is full the sprouts or legumes are ready to use. Alfalfa or mung bean sprouts are ready in about a week. Now’s the time to put them in a large bowl of cool water and stir them around to loosen hulls and skins from the seeds (this is an optional step). They’ll usually come to the top so you can remove them. Don’t worry about removing every hull but if you do take the time to remove the hulls, the sprouts will last longer. Drain your sprouts well and store in the refrigerator covered for a week to 10 days, depending on the sprout type. Store in an airtight container (a capped sprouting jar is fine) in the fridge. Don’t put them into a plastic bag because they’ll go slimy. If this sounds like to much hard work, there are electric sprouter kits available too. These (Easy Green) automatic sprouters will: soak, rinse, mist, oxygenate and drain through the full seed to sprout growth cycle. 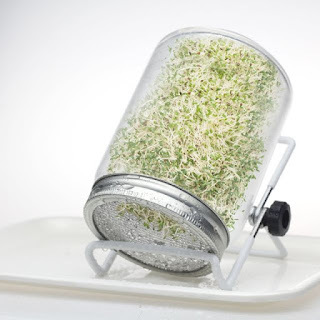 So you can have 5 different sprouts or use the one big tree for larger quantities of wheat, barley or oats. 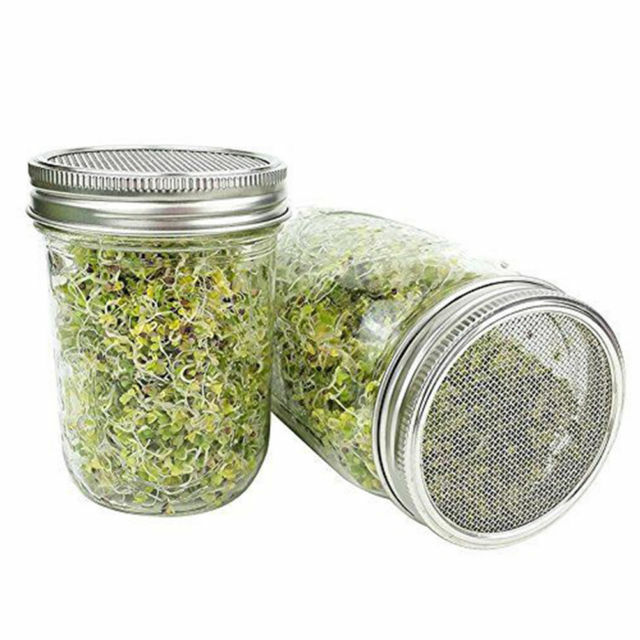 You can also buy sprouter jars with special sprout friendly lids-have mesh for airflow and come with a stand that leans at 450. How do you use sprouts-one great dish to put them on top of is Laksa-a sort of spicey soup with noodles and your choice of fish, chicken, meat or tofu. Sprouts are full of antioxidants; they’re also full of protein, chlorophyll, vitamins, minerals and amino acids. Plus they have beneficial enzymes making them easy to digest. Herbs are a great addition to any garden even if you’re just growing them in a pot or trough. They’re useful plants to have because they tend to be used almost daily throughout the year in our cooking. This is one herb that’s not talked about too much when Parsley, Sage, Rosemary and Thyme are mentioned. I'm talking with Simone Jeffries, Naturopath, Nutritionist and Herbalist . 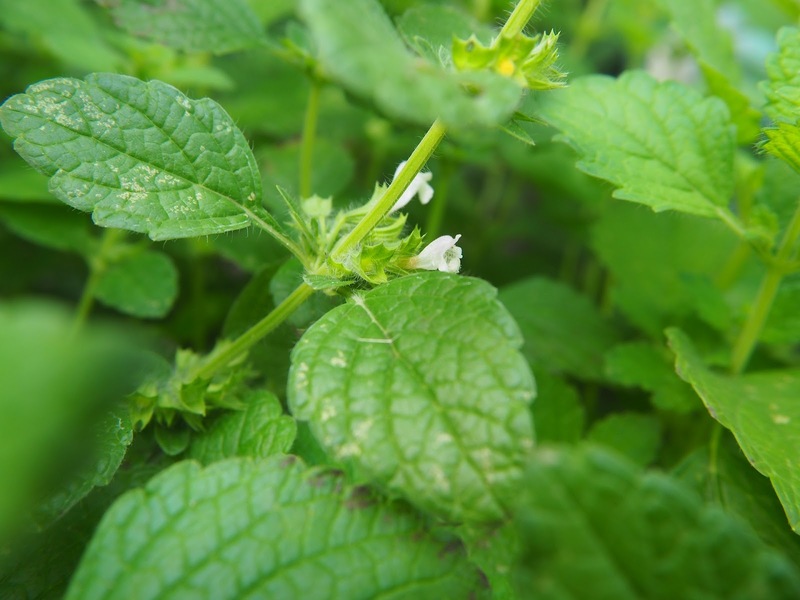 Lemon balm is also used for insomnia, cold sores, indigestion, and heartburn. In essential oil form, the scent of lemon balm is said to reduce stress. Lemon balm makes a great calmative tea. Put 5-6 leaves in boiling water and let steep for 5 minutes. Sip before bed-time for a restful night's sleep. Grow it from seed if you don’t know someone who can give you a piece. Remember Simone’s tip, grow it in a pot if you don’t want it taking over your garden. Summer has been hot, really hot, and we want to cool off. In the evening, things cool down a bit, but the sun stays up late. So what do you do if just outside the back door where the outdoor dining setting is, it’s still really stinking hot? You sit outside for a little while and then you can’t stand it anymore and retreat inside. You could make yourself a shade hut or a dining canopy. Or if you want a pergola, grow a deciduous climber on it that will drop it’s leaves in winter so that you can enjoy some winter sun. 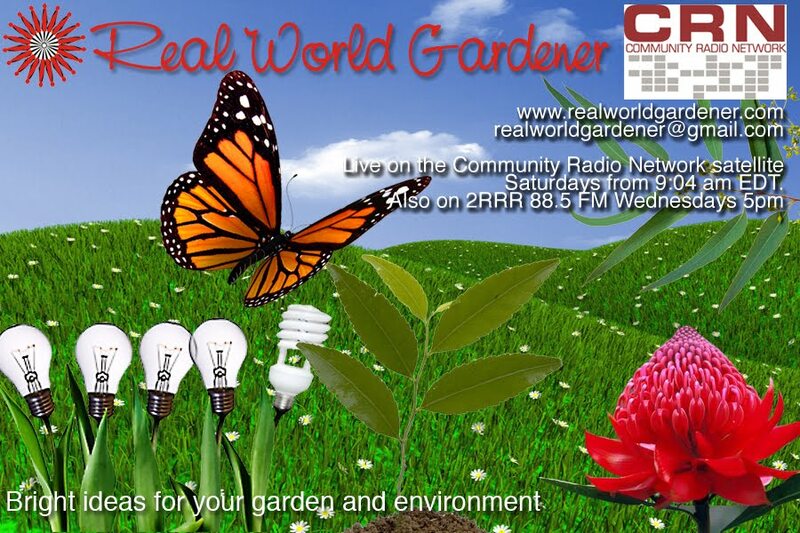 Peter Nixon’s home work garden ’Sea-Changer’ will open free on Saturday 4th May, 10am till 2pm at 21 Lavinia Street, Forresters Beach on the Central Coast an hour’s drive from the Wahroonga on ramp. 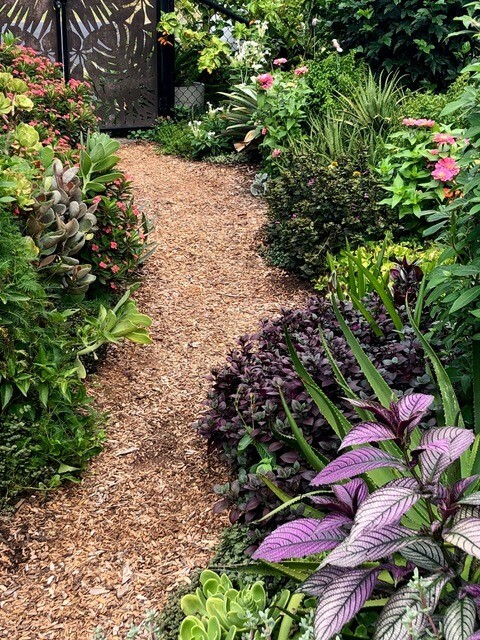 See Garden Lovers https://www.paradisusgl.peternixon.com.au & https://www.paradisusgl.peternixon.com.au or Instagram at https://www.instagram.com/explore/locations/1024854734/paradisus-garden-design-peter-nixon?hl=en Designers midday ‘Walk & Talk’ & 1 page hand out for exciting names of plants in flower and or foliage on the day. Introducing a new contributor who has some sage advice in plant of the Week, a crunchy but sweet root veggie in vegetable heroes, No shade for outside dining in Design Elements plus Talking Flowers is back with pineapple lily flowers to delight. Herbs are great plants to grow in the garden because they’re so useful in cooking. But perhaps you’re not using your herbs to fullest? Even if you just made a tea, you’re expanding the usefulness of that herb. But what kind of benefits would you get from just drinking a freshly made herbal tea? 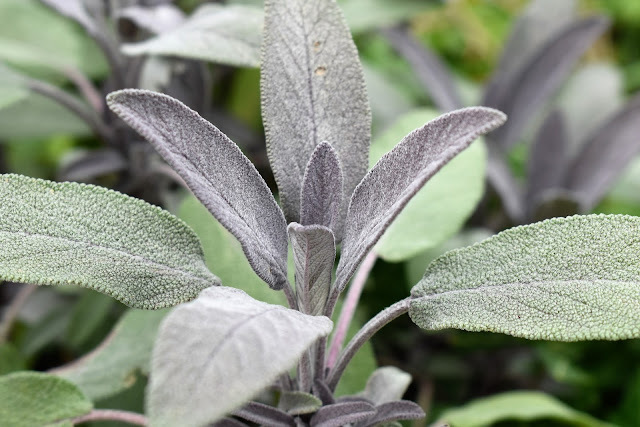 Sage is Salvia officinalis which you may already know, means it’s the one for medicinal use. There’s no point buying a Pineapple sage plant and using it’s leaves, it just has to be the medicinal sage which is also the culinary sage. 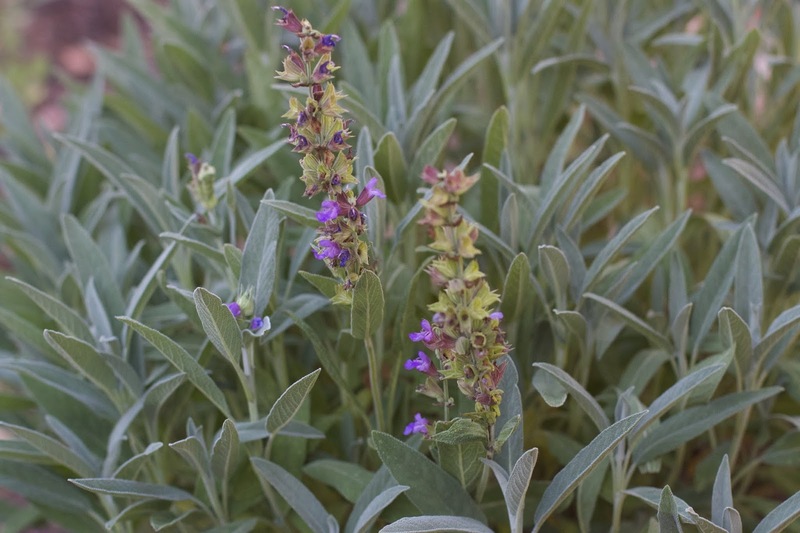 There are heaps of benefits of drinking Sage tea but Sage tea is an acquired taste. Put 6 fresh leaves in a cup of boiling water and let steep for a minimum of 5 minutes. Somone says "Sip throughout the day for control of night sweats for post-menopausal ladies." So, if you really want the benefits, then you’ve just got to drink it as Simone says, maybe add a dash of honey. For sore throats: Make a strong tea and lemon juice and honey and gargle it. Yacon is in the Daisy or Asteraceae family. Yacon is sometimes called, Peruvian ground apple, strawberry jicama, Bolivian sunroot, llacon, ground-pear, and pear of the earth. Yacon is native to the Andes- Colombia and Ecuador but did you know that until as recently as the early 2000s, yacón was hardly known outside of South America? You probably won’t see it any time soon in your veggie shop but you can buy Yacon tea or Yacon syrup. So what does this plant look like and which part do you eat? Yacon is a hardy, attractive herbaceous perennial from which you get quite a few tubers. 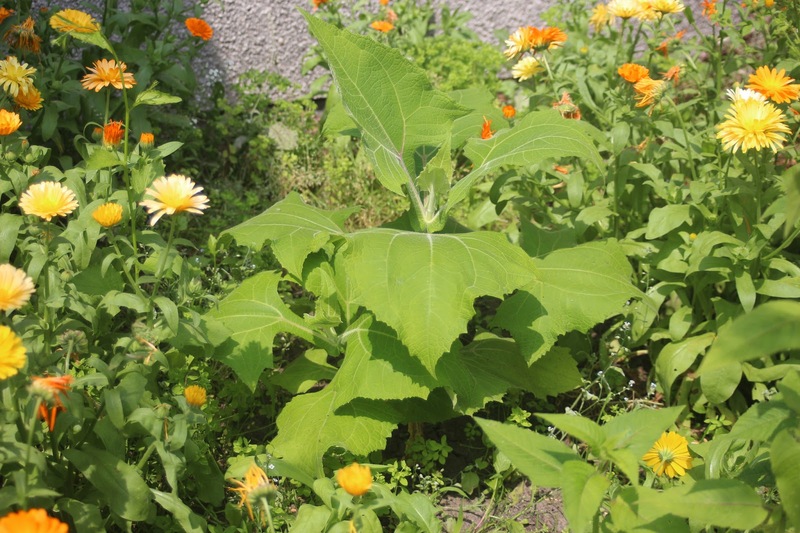 The plant grows to 1.5 to 2 m tall with light green angular leaves that look a bit like a milk thistle’s leaves or even a Jerusalem artichoke. When it flowers, you’ll have male and female daisy-like yellow to orange flowers that are pollinated by insects. Each plant forms a underground clump of 4 to 20 fleshy large tuberous roots. The plant itself is extremely hardy tolerating hot summers, drought and poor soils. The part that you eat is underground. Yacon tubers look a bit like sweet potatoes, but they have a much sweeter taste and crunchy flesh. The tubers are very sweet, juicy and almost calorie free but more on that later. I would say that the tubers taste like a cross between apple and watermelon, but with more sweetness. Generally it’s a bit tricky describing the taste of a new food, but everyone agrees on the crunchiness. If you can grow Jerusalem artichokes or Parsnips, you can grow Yacon. Yacon has a long growing season-up to 7 months so generally suits temperate to tropical areas. But you can grow it in cooler districts. Yacon can be planted all year round in frost-free areas as it is day-length neutral. In tropical areas grow Yacon during the dry season before the wet sets in. It appears to be drought tolerant compared to other vegetable crops and so far, pest-free. For cold areas of Australia the rhizomes can be started in styrofoam boxes in a greenhouse or on a warm verandah, usually in spring, and planted out when frost is past. Split the tubers into individual shoots with their tubers attached and plant into smaller pots. Yacon plants are quite sensitive to temperature, so plant them out when you would tomatoes. Normally you plant the large tubers into large pots and wait for shoots to start growing from each smaller tuber. Yacon actually produces two types of underground tubers, reddish rhizomes directly at the base of the stem that can be eaten but are a bit stringy and tough so they’re mainly used for propagation. Then there’s the larger brown or purple tubers-these are the ones you eat. Prepare the soil by loosening well with a fork and working in compost. To plant, cover a large rhizome/tuber which has several sprouts, with soil to a depth of 3 cm. Space them 0.5m apart. But you might just want to start with one plant which you can buy online or some garden centres. Mulch well because yacon will grow up through the mulch, just like potatoes. The stems of this plant are brittle so if you haven’t got a wind break tip prune the stems to make the plant lower and more bush. 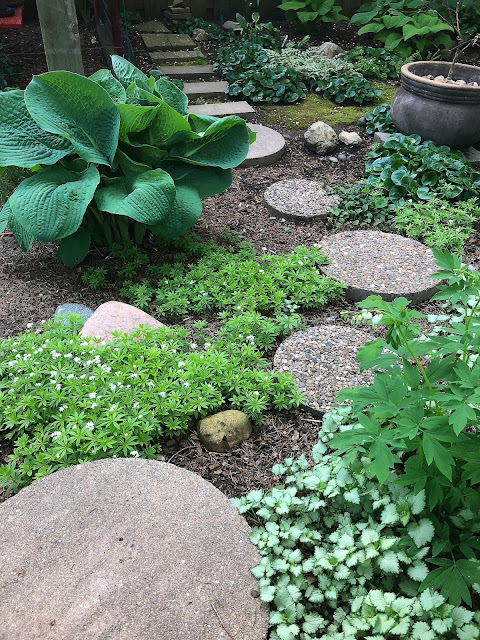 Because this plant creates dense shade when it grows you probably won’t have to do any weeding. Bonus! 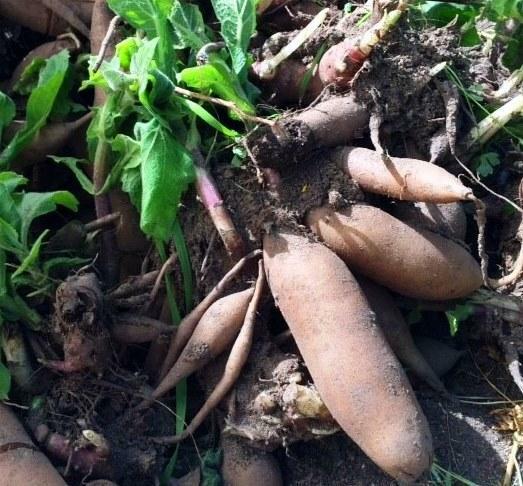 TIP: Yacon grows fast even in poor soils but gives you much bigger tubers in rich, friable, well-drained soil. So when do you pick this strange vegetable? The plant takes 6 - 7 months to reach maturity. You know when it’s ready when the top growth withers and dies back. This is when you dig up the tuber. The tubers look a bit like dahlia or sweet potato tubers, and on average should weigh about 300 g but can weigh up to 2 kg. The tubers continue to sweeten as the plant dies back so the main harvest should only take place once all the top growth is dead. If you planted your tubers in November they’ll be usually be ready by the end of May. Don't leave it too long though, especially in areas that have mild winters, as the plant will start to shoot again as the weather warms up and the days get longer. When digging them up, separate the reddish rhizomes from the tubers and wash off any soil, taking care not to break the skin. The reddish rhizomes are kept out of the sun and covered with slightly damp sand, sawdust or coco-peat to stop them drying out and put aside for replanting in a dark, dry place. These offsets are then replanted for the next season. The plant needs to be dug carefully to avoid damage to the crisp tubers. After separation from the central stem undamaged tubers can be stored in a cool, dark and dry place with good air circulation for some months. If your plant flowers don’t bother with any seeds you might bet because they’re mostly un-viable. Yacon is almost always propagated from cuttings or tubers. Why the tubers keep sweetening during storage is because of starch conversion. You can put them in the sun for a couple of weeks to speed up the sweetening process. 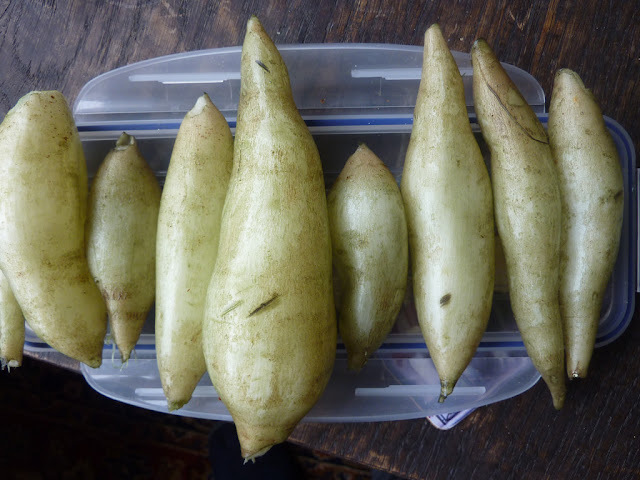 The tubers can be eaten raw as a refreshing treat on their own, finely sliced and mixed into salads, boiled or baked, fried as chips or prepared as a pickle. There’s plenty of eating tips, too many to mention, but I’ll post them on the website. For those without a computer, write in to me and I’ll send you a fact sheet. First remove the outer brown skin and inner white skin by peeling with a knife as the skin has a resinous taste. Inside is amber coloured sweet crunchy flesh. Like all tubers there are no seeds to remove, so it is quick and easy to prepare. When cut into long strips, they make an interesting addition to a plate of raw vegetable crudites for dipping into your favourite guacamole or cream cheese dip. It can also be boiled, steamed or baked with other vegies. In cooking they stay sweet and slightly crisp. If boiled 'in the jacket' the skin separates from the flesh and can be peeled off like a boiled egg. Yacon can also be used in a dessert crumble or pie with apples, pears or choko. In the Andes, they are grated and squeezed through a cloth to yield a sweet refreshing drink. The juice can also be boiled down to produce a syrup. In South America the juice is concentrated to form dark brown blocks of sugar called chancaca. The young stem can be used as a cooked vegetable. Nutritionally yacon is low in calories but it is said to be high in potassium. Yacon tubers store carbohydrate in the form of inulin, a type of fructose, which is a suitable food for type II diabetics. Plants with the sugar inulin such as Jerusalem artichokes and yacon can be useful additions to diet of people with type II diabetes. Grows in the wettest parts of South Africa where it orginates. Member of the Asparagaceae family. 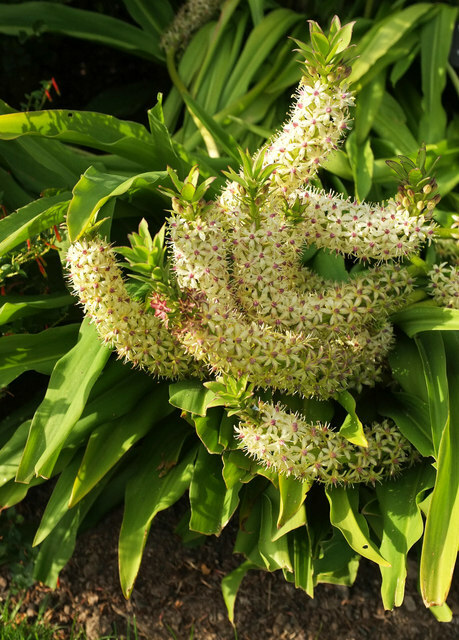 Pineapple lily is a bulbous perennial with a basal rosette of lime-green leaves. Mercedes will say, Mr Pineapple Lily, because it starts from a bulb. The thick stem carries hundreds of small star-shaped flowers with a tuft of green bracts at the top. This sort of looks like a pineapple top, hence it's common name. The Pineapple Lily as a cut flower will last for several weeks in the vase. Cut the stem straight across, because the flower arises from a plant with a bulb, therefore Mr Pineapple Lily. Remember to always use filtered water. Today’s garden challenge is for those gardeners that don’t want hard surface garden paths. Concrete, brick or other types of paving for paths can be a bit harsh in areas where the garden is quite natural. In this segment, garden designer Peter Nixon explores some softer alternatives. Peter’s not a fan of pebbles on paths. Instead why not try a combo of bark chips and shell grit, or decomposed granite, perhaps Lillydale topping and bark or woody mulch. You would need to run the plate compactor over these surfaces to compact the path. 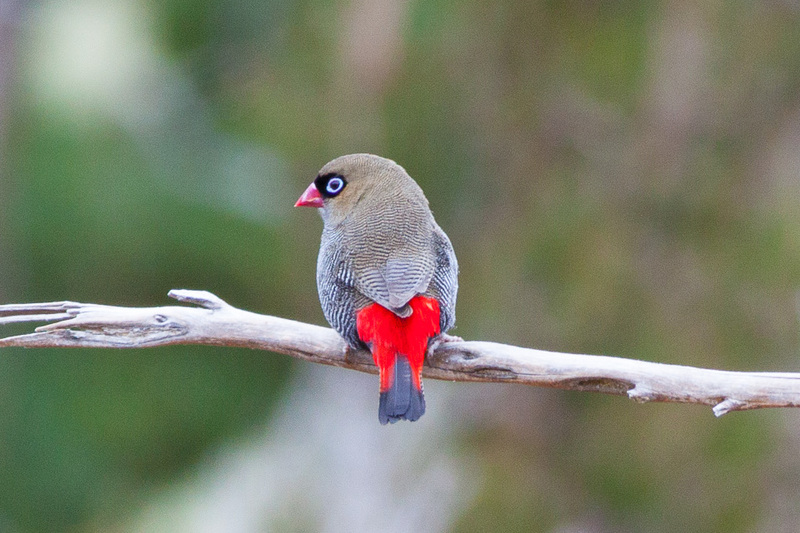 A beautiful bird regails us in Wildlife in Focus, the elusive pollination problem in vegetable heroes, a an alluring indoor plant in Plant of the Week plus Why Don’t Plants Last in Design Elements. Over the years, Australian birds have featured on this program, but how good are we at identifying the calls? It’s not that easy is it? What about placing a particular bird in the correct family of birds? That should be easier so where do finches sit? Parrot family or Passerine? Amazing to see in the wild, males and female Firetail Finches are similar, being small and chunky, with striking barring and a pale blue eye ring. Let’s hope listeners that people don’t mistake them for mice scuttling about the long grass looking for grass seeds. They also like the seeds of Casuarinas and Tea-Trees. Can you imagine this little bird building an exact bottle shaped nest tipped on its side? The nest is built from grass and carefully woven by both of the birds. Not found in urban settings that much, but in shrubby settings. The reason this topic is being mentioned is because although gardeners realise that pollination is vital in a plants reproductive cycle so that seeds, fruit or veg is formed. “ why haven’t I got fruit on my zucchini plant, when there’s plenty of flowers, and plenty of bees buzzing around.? Substitute what fruit or vegetable that you’ve had trouble with getting it to fruit in place of that zucchini, it could be beans. Sometimes it seems so random, for example, last year, I had plenty of flowers on my passionfruit vine, but not a single passionfruit. This year, though, there’s plenty of passionfruit. First , let’s start with what is pollination? Put simply, during plant reproduction, pollination is when pollen grains move from the anther of one flower to the stigma of another flower. Insects can pollinate flowers, and so can the wind. Insect-pollinated flowers are different in structure from wind-pollinated flowers. Insect pollinated flowers are large and brightly coloured, mostly scented and with nectar. All of this is needed to attract the insects. 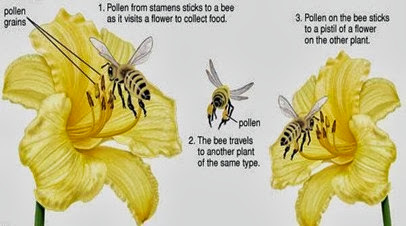 The pollen grains are sticky or spiky so that they stick to the insect good and proper. 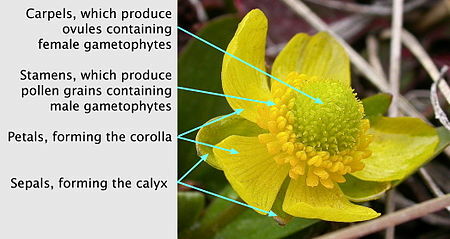 Inside the flower, the anthers are stiff and firmly attached so that they remain in place when an insect brushes past. The stigma, usually higher than the anther, has a sticky surface to which pollen grains attach themselves when an insect brushes past. Wind pollinated flowers are often small, dull green or brown with no scent or nectar. The flower usually has hundreds of thousands of pollen grains that are smooth and light so that they can easily be carried by wind without clumping together. Anthers are outside the flower, and usually looks quite long. All the better to easily release pollen grains. The stigma is also outside the flower and looks more like a feather duster so it can more easily catch those drifting light pollen grains. That’s important to remember if you think about sweet corn which is from the grass family and therefore wind pollinated. When it comes to insect pollinated flowers, the different heights of the anther and the stigma is designed by nature so that the plant avoids self-pollination or inbreeding. Did you know that most plants are hermaphrodites because they have both male and female parts in the same flower? Even corn is a hermaphrodite but because it’s in the grass family, it has separate male and female flowers on the same plant rather than on different plants like Spinach. In Corn the male flowers are position above the female flowers, ie, silks, below containing the ears. The flowers are self-compatible with pollen being spread by wind and not insects. This means it’s subject to inbreeding depression, so seed savers need to replant at least a hundred plants for true to type maintenance. 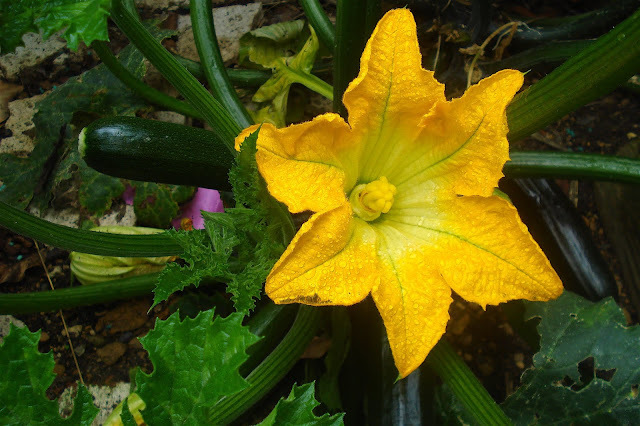 Pumpkin and zucchini is another variation in that the separate male and female flowers are on the same plant and are self –compatible just like corn, but relying on insects. Without insects to transfer the pollen there would be no fruit. Did you know that our favourite vegetable, the tomato, is a hermaphrodite too? Botanists call the flowers of tomatoes, perfect flowers because they have male and female flowers within the same flower. That means they are self-pollinating and don’t need cross-pollination by wind, birds or insects. There’s plenty of flowers and insects but still no fruit. Weather conditions are key factors in successful pollination. High humidity creates sticky pollen which does not transfer well. Plants in the cucurbit family rely on honeybees for pollination, and honeybees do not fly in cool, cloudy weather. 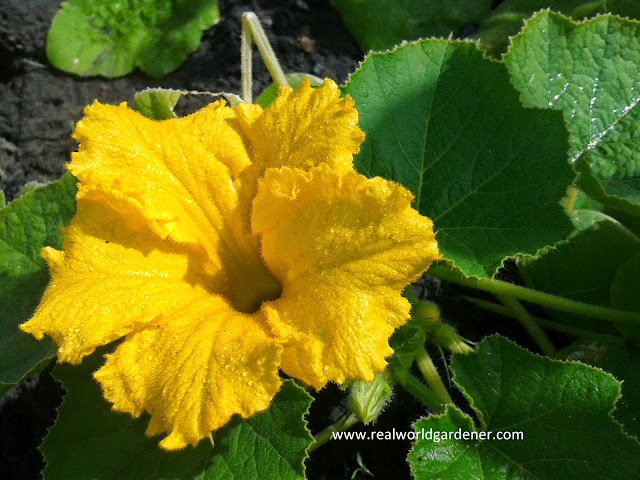 If you need to you can hand pollinate the cucurbit’s flowers. As temperatures reach the high 20's, the success rate for pollination declines. A heat wave in the thirties, will result in poor if any, pollination. To help with fruit set, try misting the flowers early in the morning with a spray bottle of water. When the weather is very hot and dry with temperatures over 290 C, the pollen becomes very dry and isn't easily transferred. 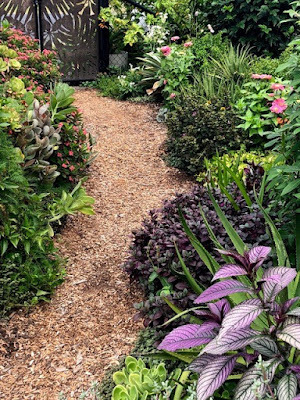 Again, it’s a good idea to try misting the flowers with water occasionally and keep up the mulch around the base so the plants don't dry out too much. This is common with many plants, especially with more northerly climates. The cure, shade cloth covers. In nature when a plant is under stress, it will not produce fruit. Or, it will abort existing fruit. It’s a survival mechanism, allowing a plant to focus upon survival first. Water: too little or too much water. The Cure: Keep soil consistently moist, not wet and not dry. Another reason is a Soil pH imbalance: this could be pH levels are too high, or too low. The Cure:: Get your soil tested. Alter pH levels as indicated by the test. And if you don’t have enough insects like bees visiting your garden, you know what to do, plant more bee and other insect attracting plants like Borage and Alyssum around your garden. Listeners in southern states will have to keep this plant outdoors, however if you live in Townsville or around the Top End, outdoors will be no problem all year round but not in full sun. 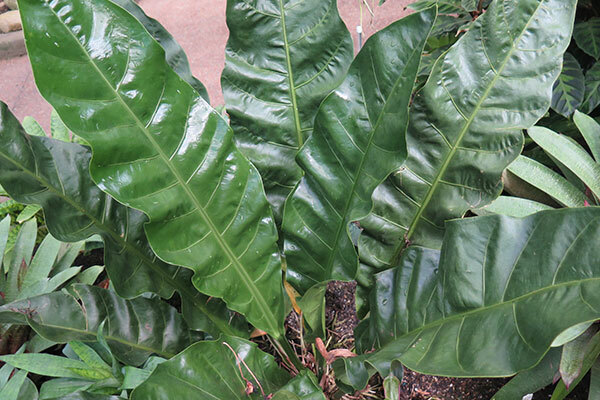 But what is this alluring plant with dark green luscious, tropical leaves. Anthuriums are evergreen, subtropical small plants with dark green glossy heart shaped flowers and leaves. They’re great for indoors as houseplants but if you live in the tropics, they also make beautiful underplanting for shady and part-shady spots.